Dr. Wasylenki is a specialist in periodontics and implantology. Our practice specializes in conservative treatment of gum disease, cosmetic procedures to aesthetically enhance your smile, and dental implants that can replace single or multiple missing teeth. We also diagnose and treat oral pathology. Dr. Wasylenki believes that your right to choose a dentist is an important freedom. We work closely with your dentist, but a referral by a dentist is not required to visit our office. We also welcome referrals from patients and friends of the practice. Our goal is to make you feel comfortable and relaxed. We are here to listen to your questions and concerns and to help provide solutions leading to your better health. 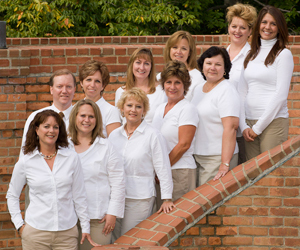 Please don't hesitate to e-mail us if you have any questions regarding your care, or call us at 419.756.4540. Our fax number is 419.756.6643.